Elena: Amy Harmon and lots of other wonderful authors are participating in an amazing cause: by giving away free books they are helping the Operation Underground Railroad (O.U.R.) to raise awareness of the horrifying reality of child slavery. Here you can read what you need to do to enter the chance to win. Amy is participating to this cause as well, and the first 50 people who will donate $20 to O.U.R. will get a signed copy of The Song of David, her new book, when it releases on June 15th. Read more about it here. Georgina Guthrie for The Record of My Heart here. T.M. Franklin for More here. Kristen Ashley for Ride Steady here. Elena: Jessica Sorensen is coming back this month with another great novel! I’m talking about The Illusion of Annabella, which releases on May 26th! You can pre-order it here. Tamie: Lots and lots of our favorite authors are at RT Booklovers convention in Dallas this week, and it’s been fun seeing all the photos tweeted and fb’d. 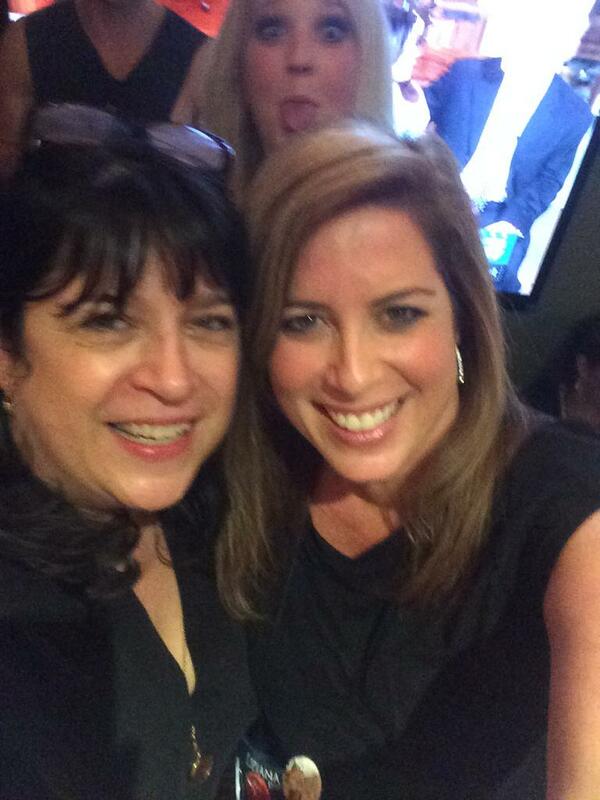 My favorite photo is of E.L. James and Ann Marie Walker with Abbi Glines in the background! This entry was posted in Abbi Glines, Amy Harmon, Ann Marie Walker, Bookish News and Upcoming New Releases, Books, Colleen Hoover, Favorite Authors, Georgina Guthrie, J.R. Ward, Jessica Sorensen, Kristen Ashley and tagged Abbi Glines, Amy Harmon, Ann Marie Walker, Bookish News and Upcoming New Releases, Books, Colleen Hoover, favorite authors, Georgina Guthrie, J.R. Ward, Jessica Sorensen, Kristen Ashley.